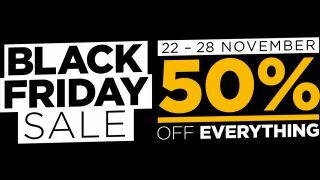 XLN Audio has slashed 50% off all of its products, including the likes of Addictive Drums 2 for Black Friday and Cyber Monday, with the offer running until Wednesday 28 November. The upside of Addictive Drums 2 is that you can truly pick and mix your elements; XLN Audio has divided the entire Addictive Drums library up into three separately purchased module types: ADpaks (kits), MIDIpaks ('beats' - ie, grooves) and Kitpiece Paks (individual sound expansions). All of which are part of the cyber deal. Addictive Drums 2 is visually and functionally similar to XLN's Addictive Keys, with Gallery and Explore pages now complementing the established Kit, Edit, FX and Beats pages. Gallery and Explore enable you to browse and audition the kits and kit presets you own alongside those that you don't, with a 'Buy now' banner linking to the online store. To get your hands on this sweet deal, all you need to do is add the code BF2018 at the checkout.